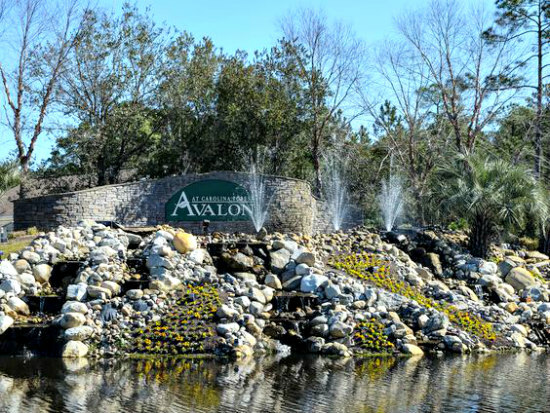 Drive up to Avalon, an affordable, family-centric community, and you'll be greeted by the greenery and flowing waterfalls. These features only scratch the surface of the number amenities offered in this budget-friendly, master planned community. Homes start in the low 100s. 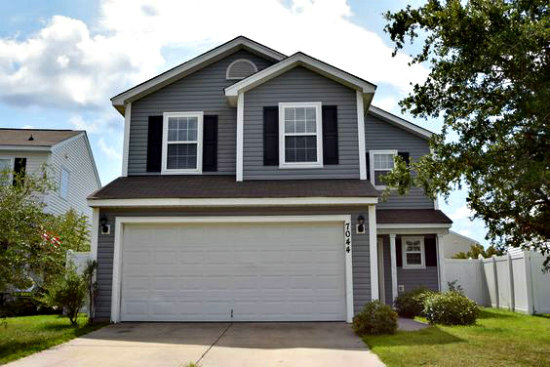 Avalon in Carolina Forest is in an essential area close to award-winning schools, restaurants, shopping, and the beach. Read more about Avalon real estate. Avalon is a large neighborhood with more than 700 single-family homes. Developed in the early 2000s, you'll find the community about 2.5 miles off of Highway 501, directly behind the Carolina Forest Community Church on Carolina Forest Blvd. It's protected from the area's traffic congestion and the homes come in 3, 4, and 5 bedroom floor plans. Most have garages and fireplaces. Conservation areas including the pristine forests of the Socastee Greenway surround the community, which means several homes have a forest view. With a dozen floor plans to choose from, you'll find one that works for your lifestyle. And there's more good news: Avalon's homeowner fees have hovered around the same rate for years. So what do you get for the homeowner's fee? 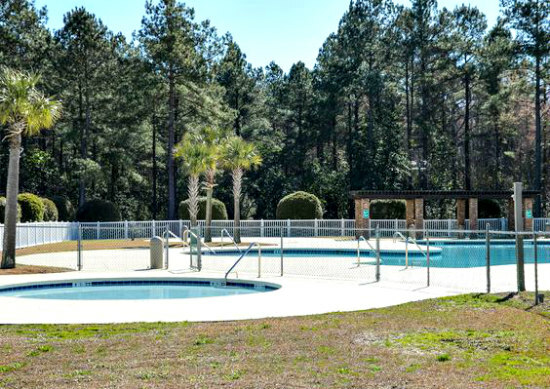 Plenty of amenities to enjoy in the 11-acre community center. Take a swim in the junior Olympic-sized swimming pool. Soak the stress away with a dip in the hot tubs. Host a memorable event for all of your family and friends in the open pavilion. A children's play area, bocce ball court, a gazebo, full basketball court, soccer field and baseball field are in proximity to the pavilion, so your guests will practically entertain themselves. Residents also get practical benefits such as weekly trash pickup and onsite security services to keep the grounds safe.